[New for 2018] Hood is pretty good about spitting out a limited edition flavor right at the beginning of the year and 2018 is no exception. 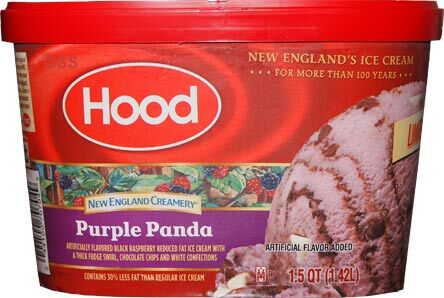 Based on the name and general setup, I'd say this is at least a vague shot at Friendly's Purple Potamus ice cream. If that description scares you a bit, it should. 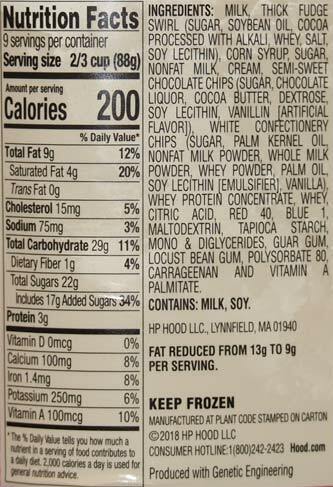 Artificial flavor and reduced fat joining forces is never a good thing. I take one bite and realize that I should have saved my money. Uggg, the raspberry flavoring is not enjoyable, nor is the product in general. Sorry, it may look decent or tempting, but it makes a lousy first impression. Even all tiny chips and bits are just annoyances. I hate tiny hard bits. Bleck. So yeah, terrible first impression and not a good edition to the New England Creamery line up. Fingers (skeptically) crossed for round two. On Second Scoop: Oh I hate this ice cream. The flavor is wrong, the texture is wrong, and I don't even want to finish the serving. Just do yourself a favor and avoid this one. 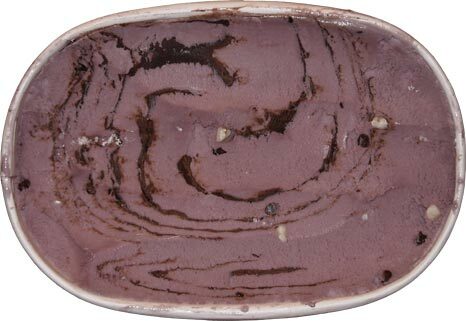 ---- Foot Note: The only way to tolerate this one is to do a 50/50 mix with some plain chocolate ice cream.